VELUX offers a complete system of complimentary products and accessories for any solution from installation right down to the finishing touches. 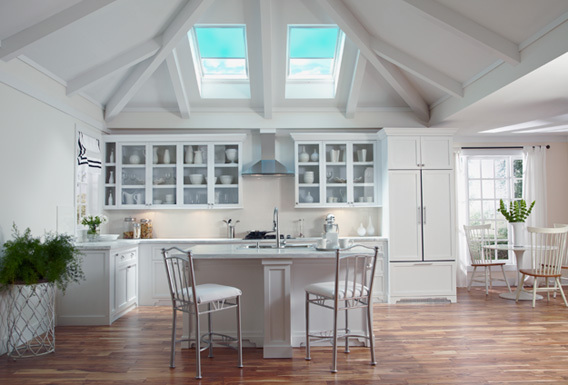 VELUX skylights are designed for overhead, out-of-reach applications or for in-reach applications that do not require egress emergency escape capabilities. They come in a wide range of sizes and features with a full assortment of blinds available. Our new blind collection can help turn an ordinary room into something special. With over 100 colors and pattern choices available, you can design your space to reflect your personality. 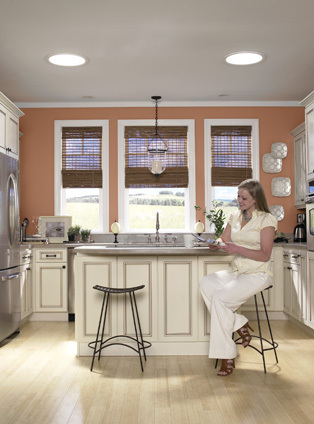 Looking for an energy efficient option to bring natural light into your home? Energy efficiency, worry-free installation and VELUX quality put your mind at ease in any application of the VELUX SUN TUNNEL skylight. Providing an excellent value and a big impact to any project makes the SUN TUNNEL skylight an excellent choice for your daylighting needs. VELUX offers an accessory installation adaptor kit for VELUX skylights manufacturered prior to January 1, 2010 that fits with current model VELUX blinds. This allows for more energy efficiency and decorating options for homeowners. 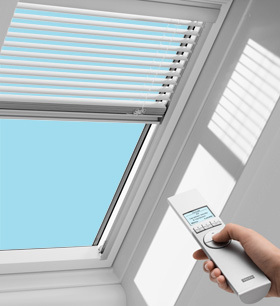 The accessory adaptor kit is available for both solar powered and manually operated VELUX blinds. Accessory adaptor kits for solar powered blinds are eligible for a federal tax credit. For more information on the installation adaptor kit and tax credit, click here. Understanding what a tubular skylight does is the first step in the decision process. Seeing how it works and the impact to any room are also important steps in your decision. Finally, let VELUX show you why we are the leaders in daylighting from above - a long history in the US and internationally helps provide resources to put your mind at ease that you have found the right product for your project.